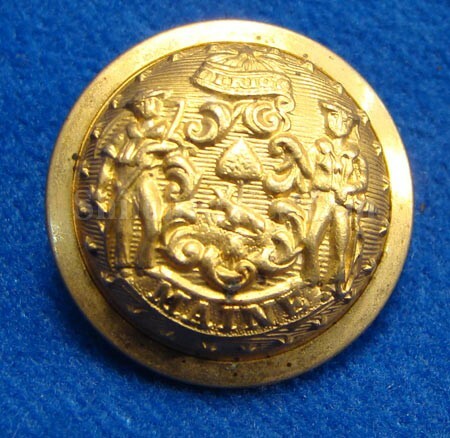 This is a great looking coat button that was made after the Civil War. 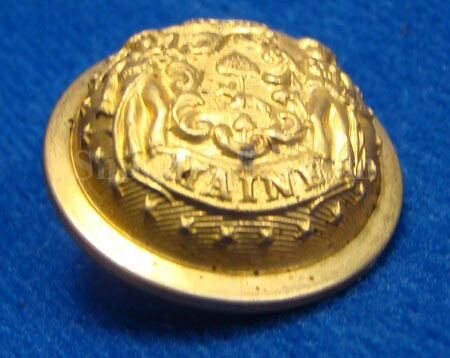 On the front of the button it has the design that represents the great state of Maine. 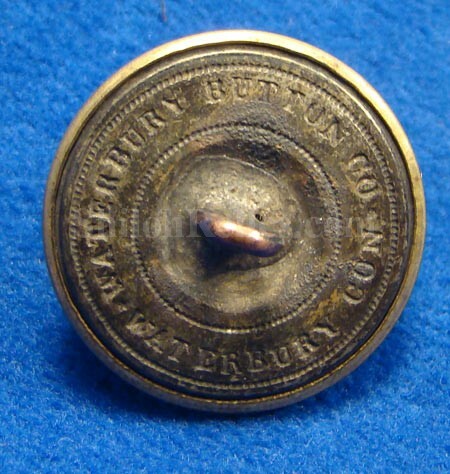 We know that it was made after the Civil War because of the backmark of the famous Waterbury Button Company on the reverse of the button. This style wasn’t used until after the Civil War had ended. Since it is made after the Civil War it is a lot more affordable than the Civil War version. The Civil War version would cost many times more than we are asking for this one. 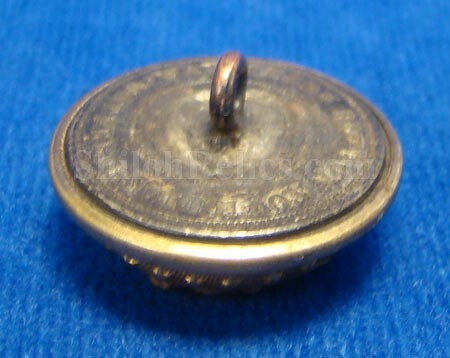 It will make a great fill in button until you do get that Civil War manufactured one for you collection.